Okay, this is the big ruckus this morning on the show. I tell you, they’re naked when they transform! I just find it hilarious that if you read the comments on the video, it has a lot of “The Morning Rush brought me here!” comments! 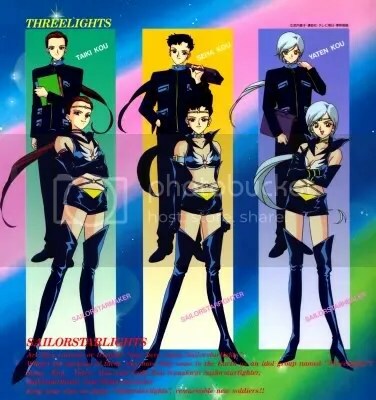 Here’s also the video that argues that the very butch Sailor Uranus and the very feminine Sailor Neptune are not cousins, but lesbian lovers. 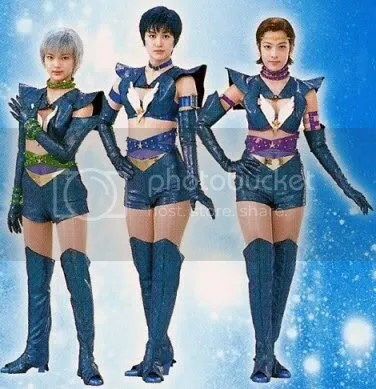 And here are the Sailor Stars – females who disguise themselves as a J-Pop boy band. Weird doesn’t even cover it. Further proof that Sailormoon is the most awesome show EVER. In the original Japanese they were lesbian lovers but was edited during translation to English. I just happened to see your blog in my FB newsfeed. Funny how i was reading about this stuff a day ago, and now, someone made a blog post about Sailormoon. Hahaha. Kakainis mej yung Sailor Stars! Haha. There’s a show called Pretty Guardian in Japan non-animation Sailormoon, some what funny. childhood memories! ang maagang pagmulat sa kamunduhan. hahaha.